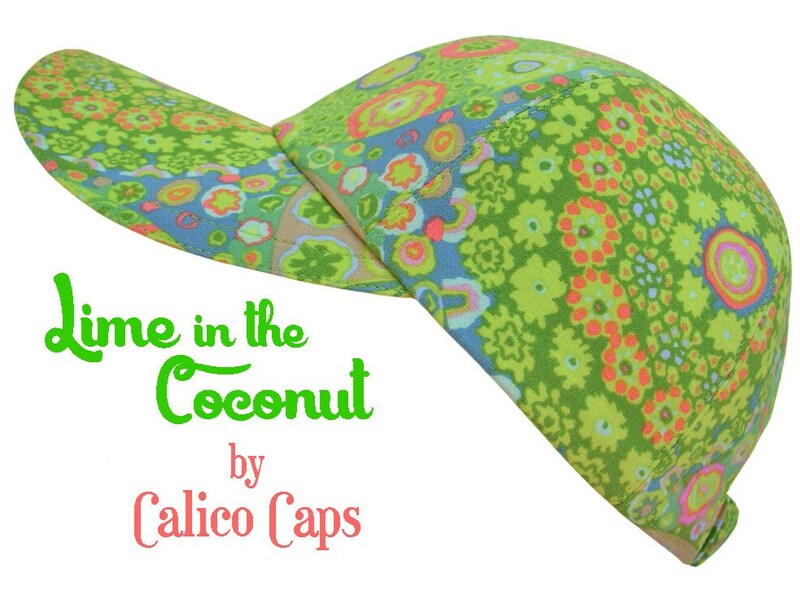 This style is called "Lime in the Coconut"..... Shake it all up and this is what you get - a lively large scale print by Kaffe Fassett fashioned after millefiore beads and Venetian glassware. So many bright lovely shades of greens and pinks, coral and blues. 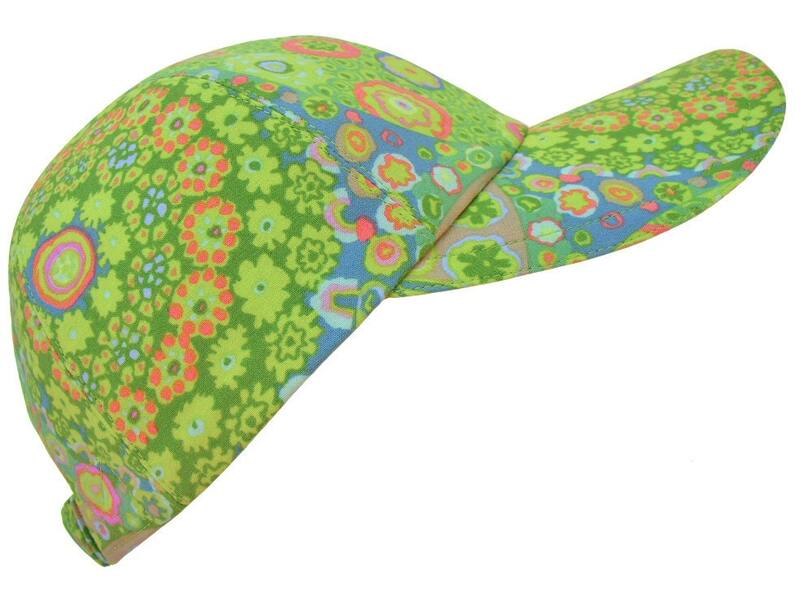 Lime green top-stitching and grosgrain band on the pretty, white-on-white floral print cotton lining.